Is this not the most adorable table lamp you’ve ever set your eyes on? It’s the perfect piece to build a nursery theme around, or finish off an ocean-inspired child’s space. 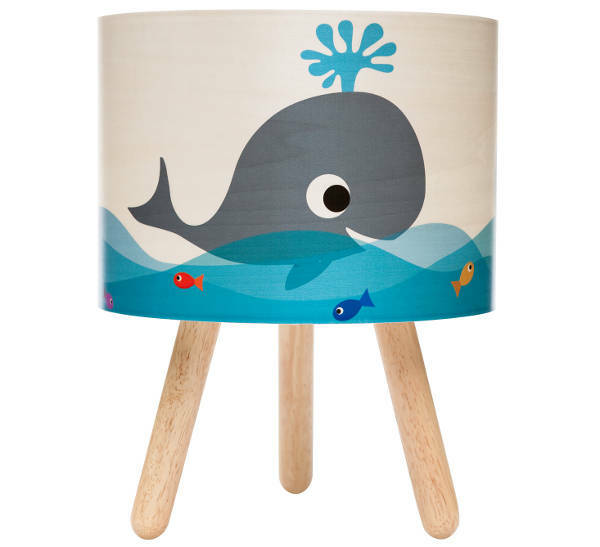 We do love us some Micky & Stevie nursery decor at Babyology, and the latest offering from this beautiful brand is the Whale Timber Table Lamp. Like all of the pieces in the Micky & Stevie collection, the whale lamp is exquisitely made, featuring playful whales splashing in the ocean. The Sydney designers have outdone themselves with this whimsical and playful design that is just perfect for a nursery. The image is printed onto a timber veneer shade, so the wood grain can be seen through the paint of the design. The lamp costs $108.90, and is available from Indie Art & Design.